Do you love playing, singing, composing and learning about music? Let your talents grow in a music program with a tradition of excellence. As a music student, you’ll enjoy small class sizes and plenty of opportunities to hone your craft. You’ll spend most of your time in the stately Conservatory of Music, built in 1913, the home of the Music and Theatre Department. It combines the beauty of the past with current technology and equipment necessary for a comprehensive education in music. Marble halls and staircase surround the elegant 720-seat Cecilian Auditorium. It also houses a Yamaha keyboard lab and a state-of-the-art music technology lab (featuring iMac computers). Practice facilities, studios, and classrooms are spacious and numerous, with windows overlooking the natural beauty of the SMWC campus. All music programs at Saint Mary-of-the-Woods College are accredited by NASM (National Association of Schools of Music). 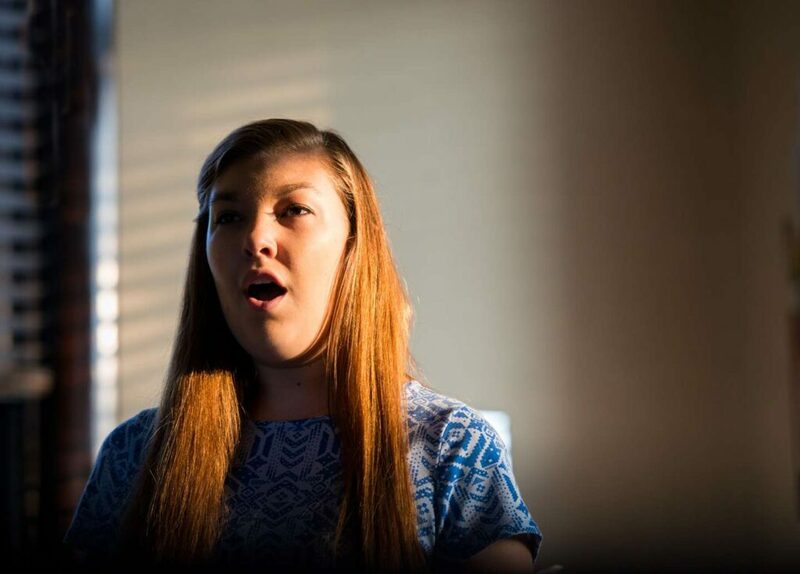 A basis for every other music major offered at SMWC such as music therapy. Auditions are required for this major. Three-semester course sequence developing concepts and skills in aural perception and music reading. A four semester sequence for the development of concepts and skills in written music theory. Every year. Each course is a prerequisite for the following course in the sequence. Study of non-Western and Western music from the ancient period to contemporary. Each course presents music in relation to the social and cultural background of the periods. Every year. Prerequisite: MU 225 or consent of instructor. The following course counts as a general study requirement, and is encouraged for music majors. This course introduces students to a rich and diverse history of American popular music. Students will listen critically to both recorded and live music, discussing and writing about the music itself and about its cultural and historical content and significance. Fulfills Woods Core requirement. The Music minor required 22-24 credit hours. 22-24 credit hours required. Choose between MU 322 and MU 323. Must complete one (1) - three (3) additional credit hours of music electives. At least 4 semesters of study in the principal instrument or voice. At least 4 semesters of participation in ensemble. Applied music examinations (juries) are held at the end of each semester. Each student must perform at least one composition for each hour of primary-level credit undertaken. Memorization is required of piano and vocal students. Attendance at all music programs and Convocations is required. 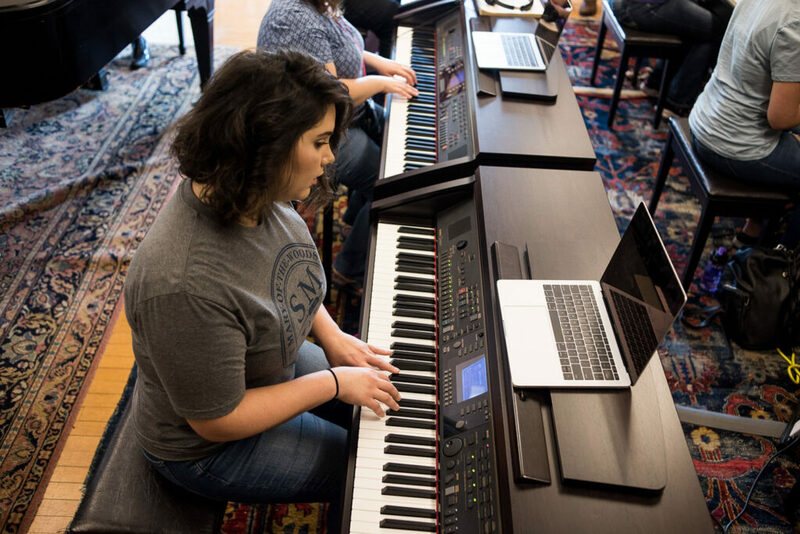 Each Music major is required to register for applied or class piano each semester until they pass the piano proficiency examination. Any requested substitutions for on-campus study of applied or class piano have prior approval by the piano faculty and the student’s advisor. The piano proficiency exam must be passed before a student is eligible to begin an internship (music therapy). All components of the piano proficiency exam must be passed before a student receives a degree in music. Music therapy students must also pass the guitar/voice competency exam prior to starting an internship. This exam is typically given in the second semester of junior year. Guitar study is included in the music therapy curriculum. All major music programs are accredited by the National Association of Schools of Music. The Bachelor of Arts in Music at SMWC is a comprehensive, liberal arts degree program that prepares students for various careers in music, and allows them to choose among many paths of graduate study. The coursework is structured to allow students to combine a music major with a degree in another field. The courses in the BA in Music make up the music core of studies for Music Therapy. Many of these positions require non-specific degrees, but the person holding a music degree will have an advantageous knowledge of the subject matter. Some employers in the general workplace also prefer to hire those with a music major, knowing the discipline and work ethic one must possess to complete such music programs.